When plumbing problems arise, knowledge of water shutoff valves helps to keep the situation under control. Protect your home with a little added insurance—insurance that doesn’t cost a nickel—by making sure everyone in your household understands at least one thing about plumbing: water shutoff valves. After all, knowing where the valves are—and knowing how to operate them—can keep a burst pipe or leaky connection from turning into a big, expensive mess. Valves usually have either spigot-type handles or a lever. In either case, turn clockwise to turn off the water. You’ll find shutoffs under sinks and toilets, behind the washing machine, and at the top of your hot water heater. Valves for tubs and showers are often tucked behind wood or plastic access panels, but sometimes you’ll find them in an adjoining closet or hallway. 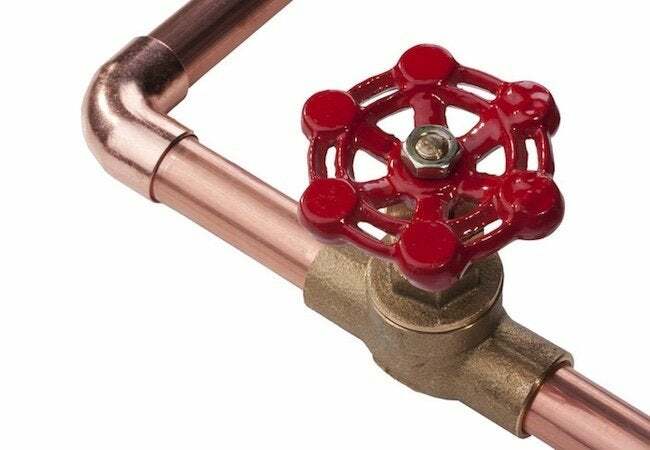 Of course, the most important valve everyone should know about is the main shutoff valve that supplies the whole house. It may be located either inside the house or out. Valves that aren’t used frequently can develop mineral deposits that make them hard or even impossible to turn, so check yours periodically to make sure they work. It’s also a good idea to tag them appropriately.